Provides broad understanding of the field and practical knowledge and expertise sufficient to evaluate, design and build intelligent systems using a large range of tools and techniques. For graduates in science and engineering with a good knowledge of computer programming and mathematics wishing to obtain specialised training in intelligent systems. - Aims to give coverage of the whole field of intelligent systems, rather than focusing on one area. - Provides theoretical and practical knowledge of a broad range of techniques for developing intelligent software and machines. - Enhances students' programming, analytical, critical, problem solving and transferable skills. Engineering systems and devices of all kinds are increasingly required to behave in more intelligent ways. Intelligent control systems are thus increasingly required by industry. Furthermore, engineers and scientists are increasingly looking to nature for intelligent solutions to complex problems. There is a growth in interest in intelligent methods for solving a huge range of problems across many disciplines. This programme aims to address the upsurge in interest in this field and the future need for graduates in this area. The programme is taught jointly by the Division of Engineering and the Departments of Computer Science and Mathematics. 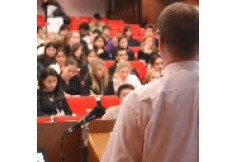 Similar programmes at other institutions tend to concentrate on a particular methodology. In contrast, this programme aims to cover a broad range of techniques and to provide students with a more complete understanding of the field and with a larger range of tools for developing intelligent systems. 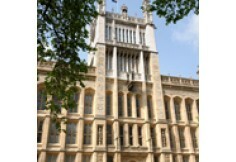 The programme consists of the following compulsory taught courses: Artificial Intelligence; Neural Networks; Intelligent Signal Processing; Computer Vision; Biologically Inspired Methods. In addition, two further courses are taken from a choice of: Advanced Neural Networks; Multimedia Signal Processing; Robotic Systems. There is an emphasis on project work to enable students to gain practical experience of applying the knowledge they gain from taught courses. There is a Group Project in which teams of students build intelligent mobile robots which compete against each other to perform a task. In addition, students also undertake a substantial Individual Project, the topic of which may be related to the ongoing research of members of staff or the student's own research interests. Teaching methods: lectures; tutorials, seminars. Assessment: written examinations, final project report.